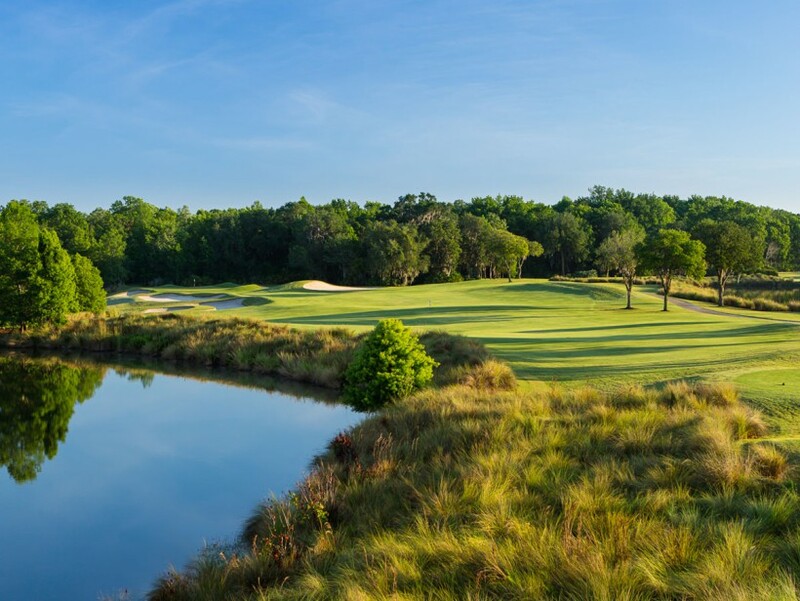 The voluptuous Slammer & Squire course makes the most of a terribly ordinary Florida site. 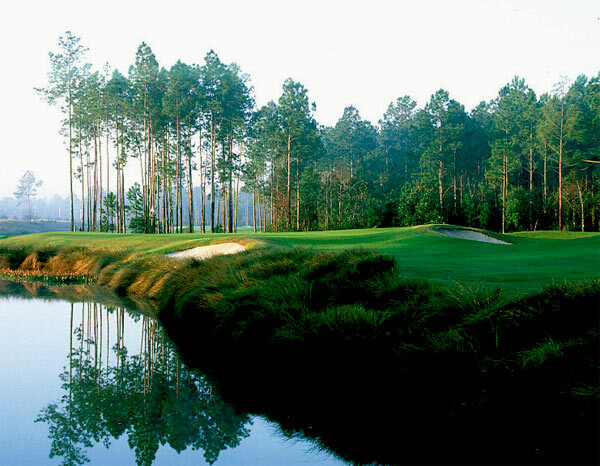 Slammer & Squire, the original course at World Golf Village, is overshadowed by the companion Palmer/Nicklaus collaboration, King & Bear, which the resort did far more to promote when it opened in 2000. This puts the Slammer in a double bind because, since its development in the late ’90’s, the entire WGV and Hall of Fame complex near St. Augustine has failed to attract the passionate audiences the Halls of other sports do. Most people fly right by it on I-95, either out of ignorance, or because the Slammer/Squire theme seems too much like a “concept,” or because the design doesn’t radiate the way TPC Sawgrass does just about 30 minutes to the northeast, despite a shared DNA (Bobby Weed helped Pete Dye build the Stadium Course). The Slammer also suffers from green fees that seem hostile given how vacant World Golf Village usually is, and a flat inferior site that’s not going to impress out of town visitors who clamor for island greens and telegenicity (the property sits on the border of an area called Big Island Swamp, if that gives you any idea of its qualities). But the Slammer & Squire does more with less — and with more style — than almost any other course in the region. The first nine roams through a quiet, forested area mostly sequestered from development with holes that minuet with marshes and slinky water features. The second nine plays more openly across the resort campus, with less nature but equally interesting golf. Throughout it all the size and placement of Weed’s bunkering is sublime — you can’t totally trust what you see. It screws with your orientation and depth perception at holes like the 9th, a par-4 with the same bunkering concept as Seminole’s famous 6th. Or the 300-yard par-4 14th, with large format bunkering that disguises the landing area and more vertical greenside bunkers that seem to float in places that you can’t quite pinpoint. 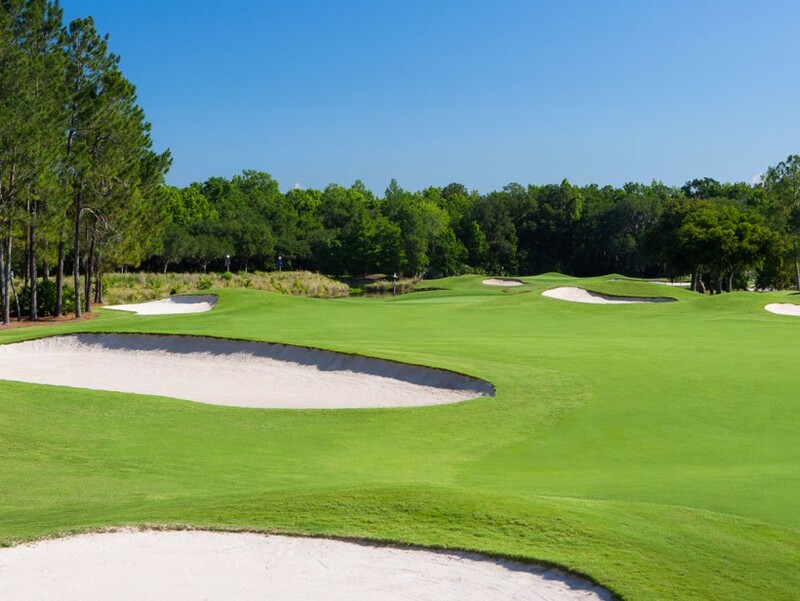 The small scale, handmade quality in the green shaping and surrounds is a rarity in North Florida, especially for anything built in the ’90’s, but it would be right at home on the courses namesakes Snead and Sarazen grew up playing. These details can be flowing and intimate, and also challenging, with fall-away greens at 4 and 6, the outstanding Redan 7th and the Postage Stamp green at the tiny 15th, with water right instead of recessed bunkers. And where the property is particularly lifeless (the beginning of the second nine), Weed turned up the volume in fairway movement and short-game variety. A view of the contours from the layup area at the par-4 14th. In an environment where there are almost no good golf sites, the Slammer & Squire is a masterclass on how to create strong golf from junk land. There are no forced carries and enough width to please the world of golfers the complex has invited, yet the design rewards drives that play to strategic angles, creates pin placements that actually matter, and has enough character in the putting surfaces and surrounding hazards that approach and recovery shots have real consequences.